HTML5 is a new language for structuring and presenting content on the web. It boasts many great features that make incorporating video, audio, fonts, drag & drop, web graphics & animations into your web pages very easy. HTML5 is backwards compatible so don’t worry about your old designs in HTML 4 or XHML1 they will look just the same as they used to! HTML5 is all over the web already and experts are enhancing it everyday to provide Web Designers & Developers with amazing new features. So here are 10 Awesome Online HTML5 Tools For Web Designers that can prove to be really helpful for all the web designers. Check them out. You must have guessed what this tool does. It is a sketch tool, but it is not an ordinary sketch tool as it uses HTML Canvas to make 3D drawing. For rotating the canvas in 3D, you are required to hold down SPACE and then DRAG horizontally with your cursor. You also have the ability to make the drawing vibrate and draw in dashed lines too. Simply awesome! Compressing photos is very much in fashion now a days, so putting all your photos in a “sprite” will benefit you in two ways, i.e, by increasing the speed of your photo transitions and loading times. 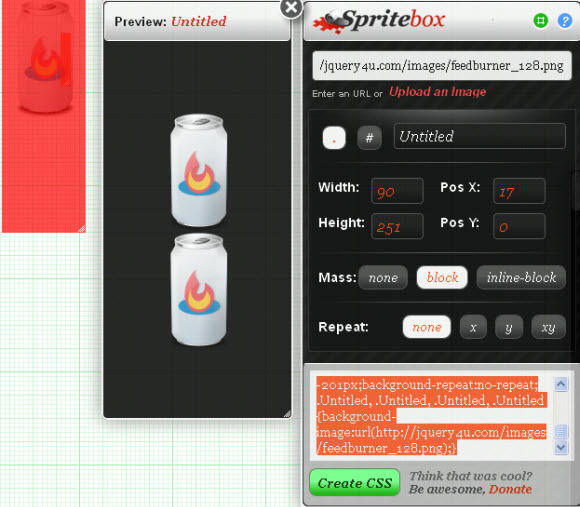 Using this awesome jQuery, CSS3 and HTML5 tool you can design your photos into sprites. A decent font is a very important part of any web design and it is a duty every designer to pick the best font. Online Font Testing Tool is an amazing font bookmark that lets you instantly view any web page in a new font without even changing any HTML or CSS. 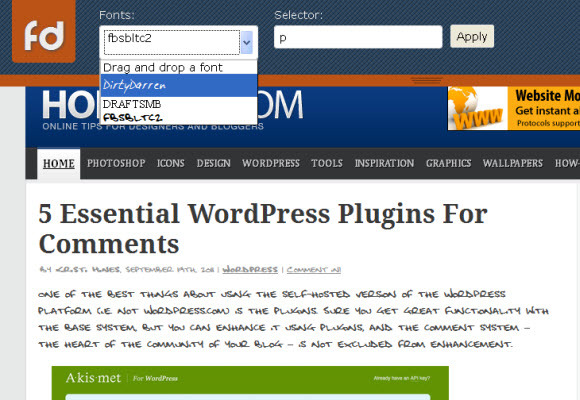 You can drag the font.ttf files into the top toolbar and then they will be displayed in a list for quick view. A lot of free websites are present out there, and all you have to do is to simply type “Free Fonts” into Google. 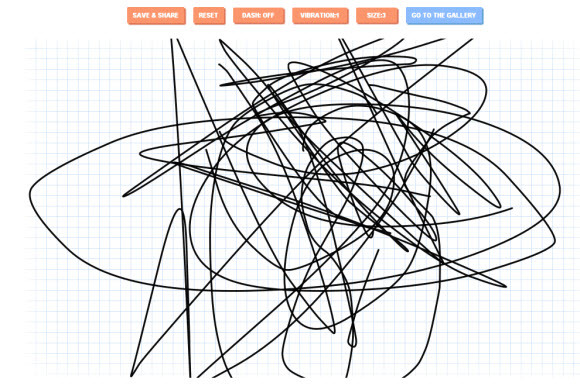 This one is a great online HTML5 canvas drawing tool using which you can create strange looking web like things. So designers can be as creative as they want and create something really good with this tool. Online Pattern Generator Tool is a really cool tool that lets web designers create page and header backgrounds or even heading backgrounds. It provides you with a lot of options and is a very easy to use tool. Pretty good! This tool lets instantly see the details of page elements on any webpage and all you have to do to get all those details is just click a single button! Just drag the bookmarklet on the website into your bookmarks, head over to the webpage you want to see the details of, and click Xray bookmark then click any element on the page. 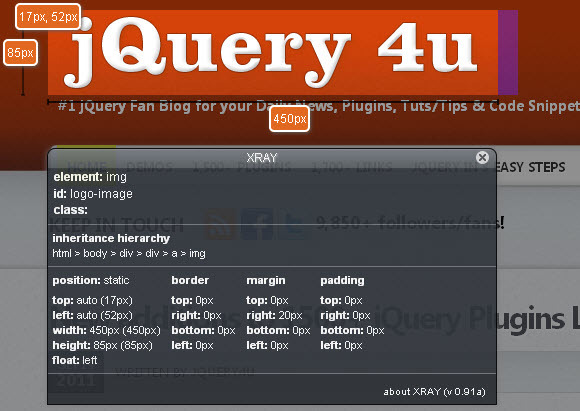 This tool also has the abiltiy to handle HTML5 elements like canvas and gives you all the design information you want. This one is a pure HTML5 tool. No Flash means that your animations will work totally fine on iPhones, iPads, Android devices, and all common web browsers. HTML5 provides us with the ability of using audio tag. Online HTML5 Audio Maker Tool is an awesome tool that can let you use the new audio features that HTML5 boasts. An online HTML5 video maker tool is also available which does a similar thing. Most of the vector art packages (Illustrator, Inkscape etc) can be exported as SVG (Scalable Vector Graphics). 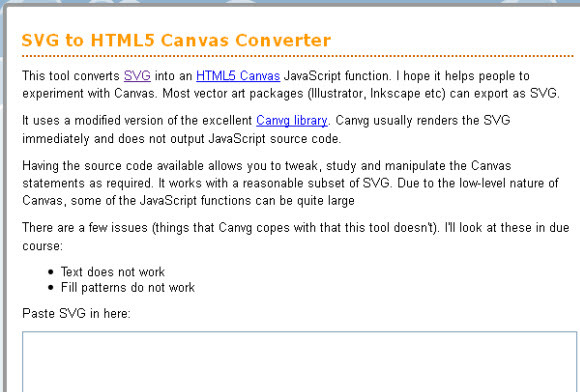 This great tool lets you convert your SVG file into its HTML5 canvas equivalent. Pretty cool, right? As the name suggests, Chrome Ajax Animator Tool is a HTML5 powered web-based animation suite. It is an awesome cross-platform/cross-format animation tool that you can use both online and ofline. But for using this tool you would have to have Google Chrome installed. Check out a quick video tutorial to get started. 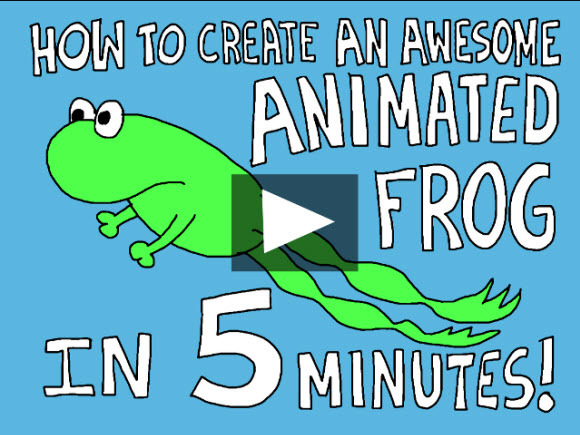 It is a really good tool for all the HTML5 animation beginners out there! I have used almost all the tools above but the most of them I like “online SVG for HTML” more and it works superbly. Plz add more related tools. Thanks.